A Grid tie system usually based on intelligent inverters. which use the solar power produced to augment the utility based power. These Inverters need a power source to match the voltage and frequency of the grid and are economical because there is no requirement of batteries. The system can also be used supply and unused power back into the grid. Fortunately , Pakistan is implementing Net Metering soon. CTI stocks on grid inverters as well, Our grid-tie inverters run on most advanced Maximum Power Point Tracking Technology. It boosts the incoming current from Solar, For example, if the solar panels are making 6 or 7amps of current then MPPT enhances it to 10 or 11 amps – you get 30% more electricity from the exiting solar panels – similar to having an extra solar panel. Grid-tie inverters have high efficiency of more than 97%, guarantee reliability, and are meant for Pakistan’s harsh weather conditions. Packed with superb features they let you make ROI in just 3-4 years. 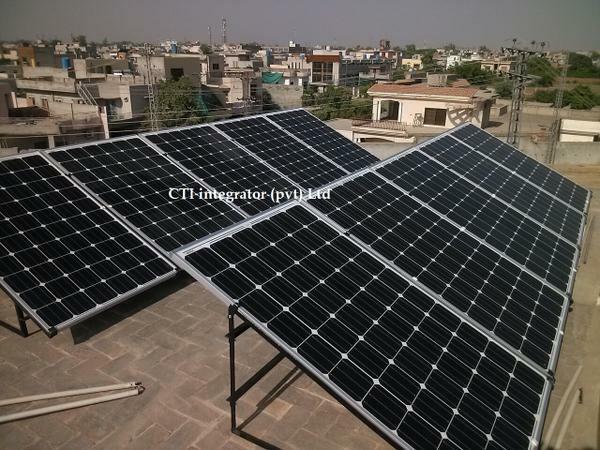 Team CTI is desperately waiting for Net-Metering in Pakistan, we already made testing of On-Grid system, Demand of solar energy system will also expected to grow in coming years.